Ski Season Data for Cairngorm. During the past week I have had three ski trips without any teaching obligations..that means play time!!. The first one was a lone journey to the Lecht. I love this little gem of a ski centre. A family run business that is super quick to respond to changes in weather and able to get up and running at a moments notice when the snow begins to fall. In the past I have skied here in October when a freak storm hit!! The centre used to have a bit of a reputation for overstating the quality of the conditions but this is now thankfully a thing of the past especially with the advent of tell tale webcams. My journey north started full of excitement and anticipation. I had borrowed a set of touring ski’s and skins from a friend and decided to test them out at Lecht. It’s pretty safe to go alone here as you can just skin up the side of the piste and the mountains aren’t very tall. Ideal for my solitary trip I thought. All was going great guns until I turned off just after Braemar onto a tiny B Class road followed by the infamous A939. No sooner had I got on the road than the heavens opened and fluffy white flakes peppered my windscreen and the road ahead. I thought “Yeeeeha, this is going to be amazing”…then it started to get deeper and deeper.. weirdly the snow just seemed to be falling on the road…or maybe that was just in my head. Anyway, as I progressed along and succesfully negotiated climb after climb the road surface was becoming ever more impassable. Worryingly there was no sign of a snowplough. Then on a steep ascent my wheels started spinning and that was that..zero traction.. in Scotland it is not very common to have snow tyres or snow chains as they are rarely necessary. 5 miles from my final destination I had to admit defeat and gingerly turn round and head home. Most disappointing. Like I said to be a Scottish skier you have to be a determined soul, sometimes though, you just have to accept that the weather will not always be in your favour…be safe, turn round, there will always be another day! The next day I picked a buddy up at 6:30am and headed north to Cairngorm. The sky was mostly blue with a few puffy white clouds and the air was crisp and clear. The car park was empty and the snow was looking good – I knew it was going to be a great day. We avoided the funicular and took the carpark T-bar and then the M1 Poma to the Ptarmigan. The pistes were a bit scratchy in places and there was a lot of dust on crust so we decided to make the effort to hike up to the summit. This was the best move of the day. The panorama at the top was stunning and after avoiding some huge icy hummocks and scratchy conditions in the first few hundred metres of the descent we were rewarded with our first powder skiing of the season. Okay it wasn’t bottomless Japanese powder or Okanagan Valley Champagne powder face shots but we had float and were happier than a very happy smiley person that had just been given some really good news. An epic day indeed. note: I am hoping that snapping a picture of a two tailed Husky is as lucky as finding a four leafed clover. The third trip was also to the mighty Cairngorms. It was a team outing with some fellow ski and board instructors from Midlothian Snowsports Centre. It’s always great to head out and play with some people who can really ski. The mountain had been closed for a couple of days due to 80mph winds and blizzard conditions. So much snow had been dumped over the weekend that part of the area had been shut due to the avalanche risk. We arrived a day later..to warmer conditions and…rain at carpark level..sleety nastiness higher up..and very poor visibility due to the low lying cloud and hill fog. The snow conditions were bulletproof early on but then softened up nicely to give lovely spring skiing..a bit strange for December! Soft and grippy snow is great fun for playing around. I used to love Spring skiing condiitons when I taught in Canada. I used to tell my clients it was called hero snow…you can get away with a few more mistakes and still look like a total rock star. The poor visibility was a bit of an issue but just meant you needed to be on the ball and keep your wits about you..use the force young Jedi..use the force. Scottish skiing is great for working on your reaction skills and balance!! 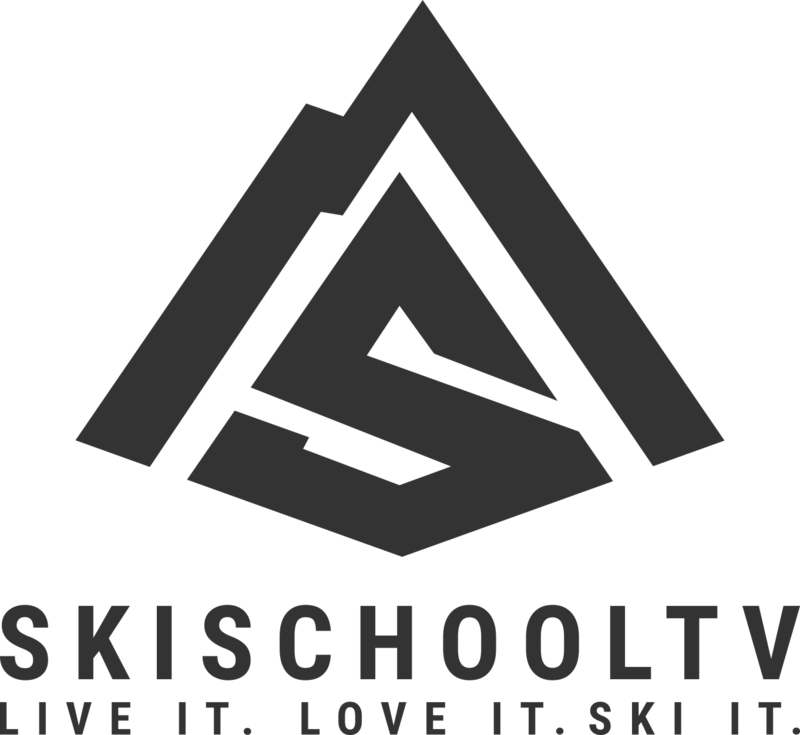 Actually, skiing in Scotland is great for improving all of your fundamental ski skills – Stance/Balance, Pivoting, Edging, Pressure Control and Timing and Co-ordination. The changeable snow conditions are a huge bonus when trying to improve your skills. Take what you have learned from your time on the Scottish slopes to the bigger mountains of the Alps, BC, Rockies and the rest of the world. A Scottish skier tends to be a pretty agile and adaptable wee soul…they need to be able to avoid the rocks and deal with the ever changing snow…powder to ice to slush to perfect groomers to puddles all in the space of one run! Skiing in Scotland will stand you in good stead. Over here there is no such thing as a fair weather skier…well not if you want to ski more than two or three times a year! !